... I'm back from the busy and flashy Singapore to my simple and laid-back Melbourne. Although my life is sometimes hectic with family and work in Melbourne, I reckon that it is never intensive like being a working mum in Singapore. My son and I love love love sheng jian bao!!! Sheng jian bao? In Chinese, they are 生煎包 and they are also known as Chinese pan fried buns. 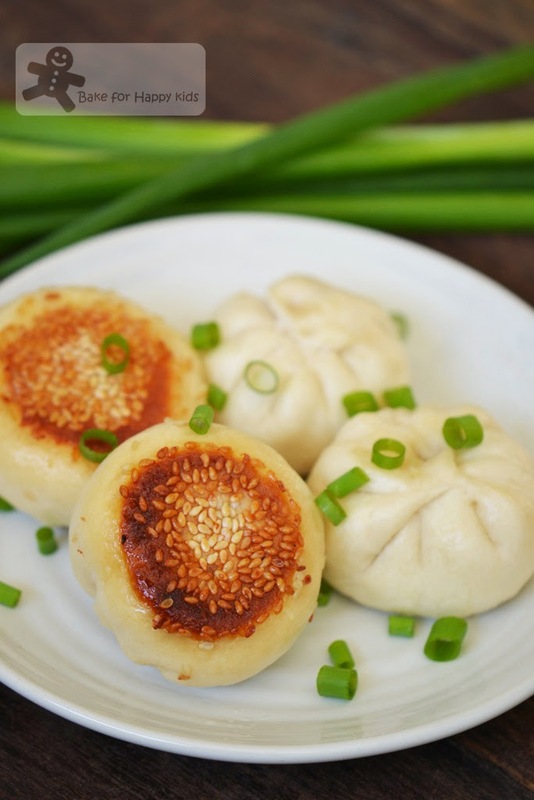 Sheng jian bao are Chinese savoury buns that are pan fried with crispy bases and also steamed to produce fluffy steamed-bun-like bun texture. We love love love eating sheng jian bao in Chinese restaurants. In one of our favourite places to dine, it usually serves five large sheng jian bao in one order. When my son was three, he can eat at least four sheng jian bao and will leave one for me. These days, he can finish all five large sheng jian bao and leave nothing for me... Then, he tells me that he is still hungry. Hmmm... 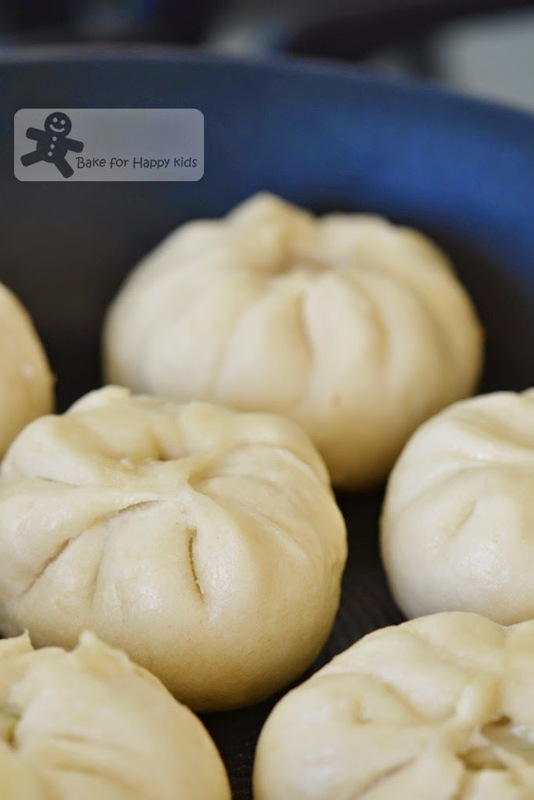 When my son gets older, I'm hoping that I can order two serves of sheng jian bao and I bet that he wouldn't be able to finish all ten of them... Or will he??? I should be ashamed of myself that I'm fighting with my son to eat sheng jian bao... Please please please don't boo me!!! Typically, sheng jian bao are made of regular mince pork (not lean) so that the buns are filled with juicy and smooth fillings but today, I'm making mine with a healthy twist and used lean chicken mince and cabbage instead. I can't deny that the typical fattier pork sheng jian bao taste better than my leaner chicken and vegetable sheng jian bao but I can't deny that my leaner chicken and vegetable sheng jian bao taste are comparatively good too! 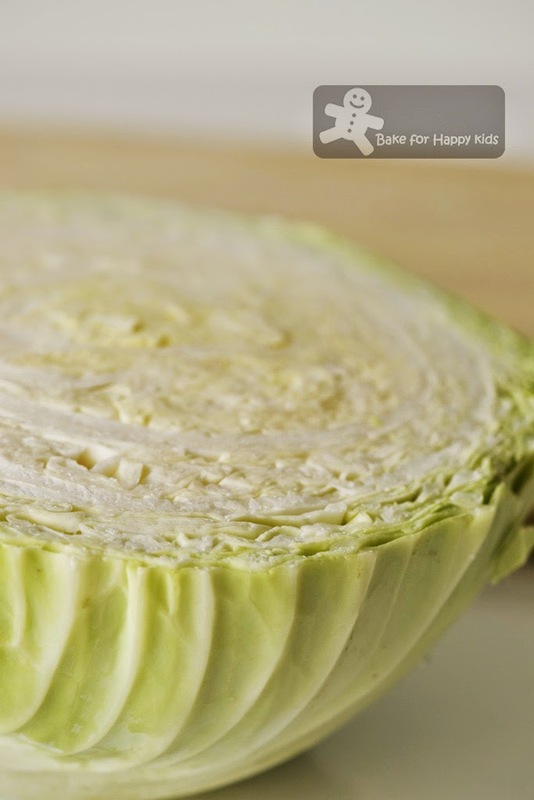 You can use any cabbage if you can't find any Chinese cabbage in your local market. I'm surprised to see that the waxy cabbage that I used can contain so much liquid. Next, I sliced the spring onions. And add all into the chicken mince. Chill mixture for at least 3 hours. These are two of the ingredients that I used to make the bun dough. After its first prove, I divided the dough into 20 portions. It was quite scary when I first shaped these buns. Wow! The buns are so fluffy! Very delicious even they are made with healthier options! Guys! Guys! No need to fight... There is plentiful of sheng jian bao here!!! Well, I assume but all these 20 medium buns were gone very quickly with no leftovers!!! I asked my husband and son if they want me to cook sheng jian bao with pork fillings for the next time and they said NO!!! "We want the same chicken sheng jian bao..." said my husband with his head shaking and my son with a full mouthful of bun responded with his head nodding like crazy. Knowing them, I'm very surprised to know that they prefer to eating these healthier version. Well, you should see my surprised face at that moment. Here's the recipe that is mostly adapted from the book, Delightful Snacks and Dim Sum by Agnes Chang - please note that the original recipe by Agnes Chang uses chicken too. Place water, flour, baking powder, salt, sugar, shortening and yeast according to this order into a breadmaker and use "dough” setting to knead and prove the dough for 1 hr. If you are kneading the dough by hand, combine all dough ingredients except shortening to form a dough first. Add shortening as you knead until you get a smooth and elastic dough. This kneading time might take up to 15-20 mins. Cover dough with a cling wrap and allow it to prove for 1 hr or until doubled the size. 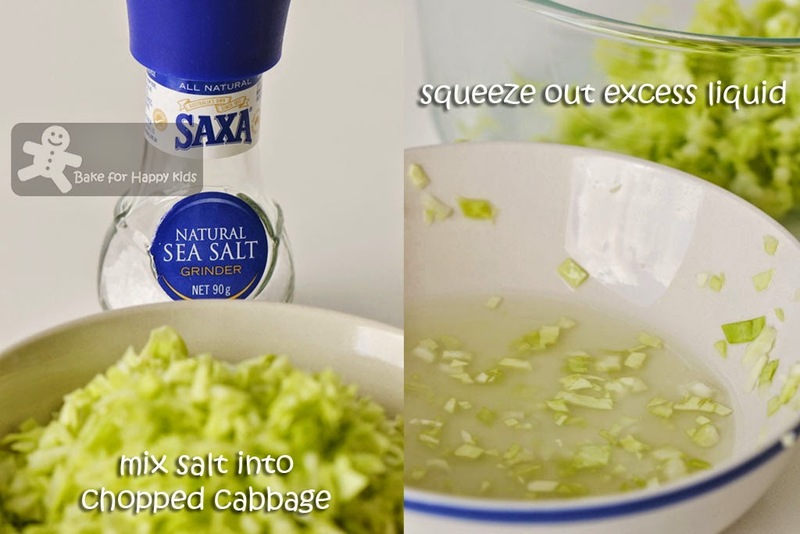 Mix cabbage with 2/3 tsp salt and leave it to "sweat" for about 10 mins. Squeeze out its excess liquid. Combine chicken, cabbage, spring onions, ginger and all the seasonings and chill the filling in the fridge for at least 3 hrs before using. 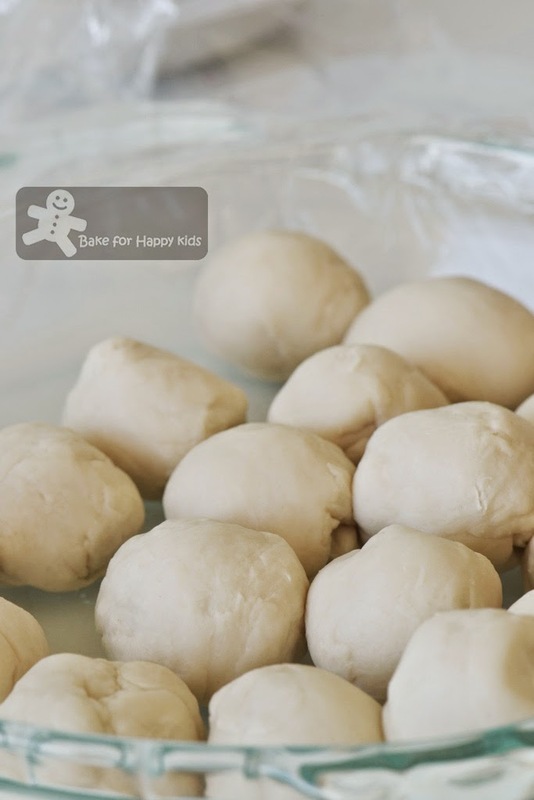 Divide dough into 20 portions, Shape the portions into balls. Using a rolling pin, roll each portion of dough as thin as possible and also into round shape. Wrap 1-2 tbsp of filling inside each rolled dough as shown in the video at Christine's Recipe. 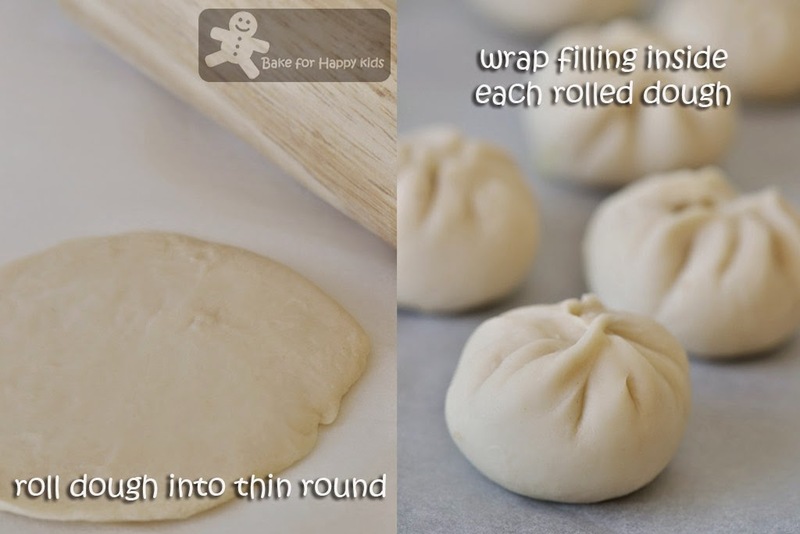 Repeat the rolling and wrapping steps with the rest of the dough and filling. You might have about 1 cup of filling as leftover like mine. Cover the buns with cling wrap and set aside to prove for about 15 mins or until the buns looks slightly puffy. Using medium heat, heat up 1 1/2 tbsp oil in a non-stick frying pan (mine is 21 cm in diameter). 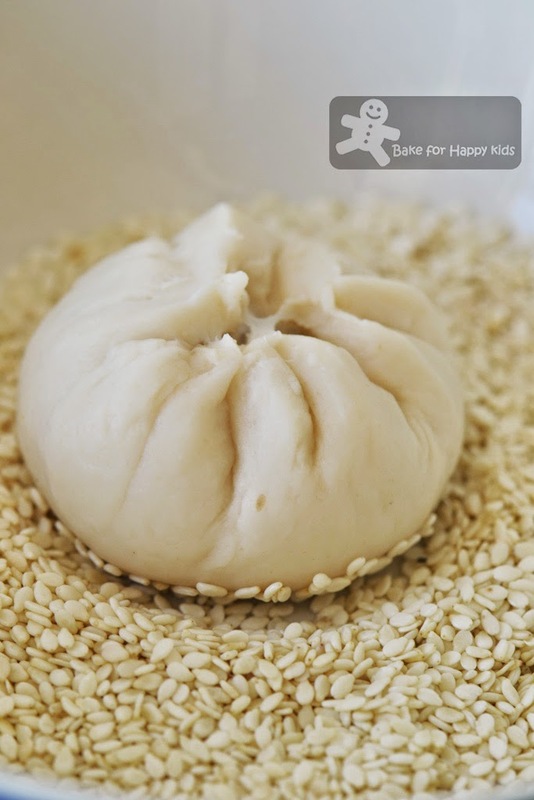 Coat the bottom of the buns with sesame seeds and place them in the frying pan. Do not cook too many buns at a same time. Arrange them in a way that they will have space for expansion - I can cook 7 buns at a go with my 21 cm frying pan. 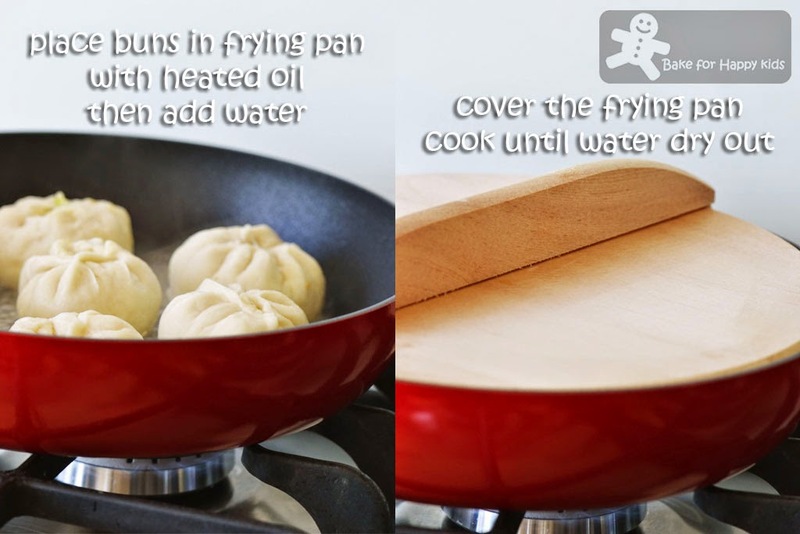 Add adequate water (1/4 cup for 21 cm pan) and seal the frying pan with a cover. Cook the buns with medium heat for about 10-15 mins or until the water dry out. If the water dry out before the meat is cooked, add more water if it is required. Check if the meat is cooked and the base is golden brown and crispy before transferring the buns onto serving plates to serve. 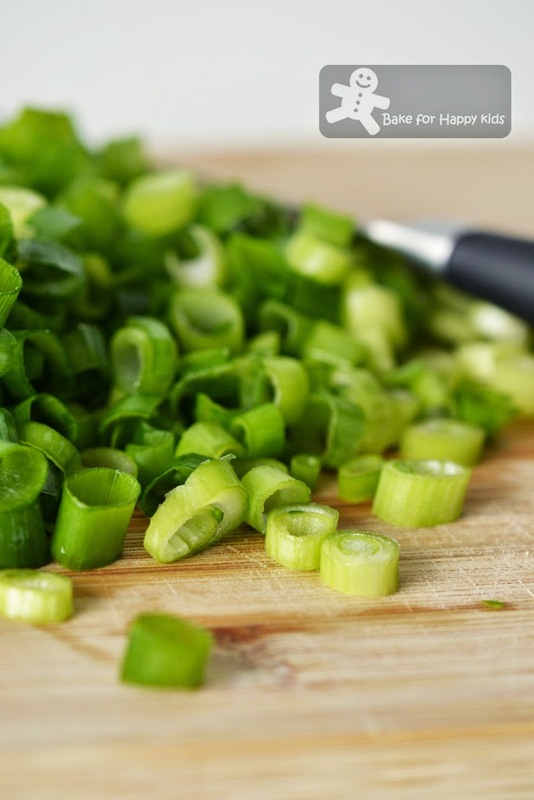 To finish, sprinkle some chopped spring onions to garnish. I never try shengjianbao before,urs look so yummy! Gorgeous Zoe!!!! I can make a few dumplings by hand like siew mai, wantons, gou tie and xiao long bao but that's it. I would love to learn some new chinese bakery items! This one doesn't seem to difficult and I would prefer to use pork (although I love chicken buns equally)! Your family always has the best home made goodies! Thanks for the recipe! I'm going to bookmark it! Wow Zoe this is so impressive! Pan seared bun is one of my favourite Shanghainese dim sum :) But I prefer those with a soupy filling! Hi Zoe, welcome back ^-^! 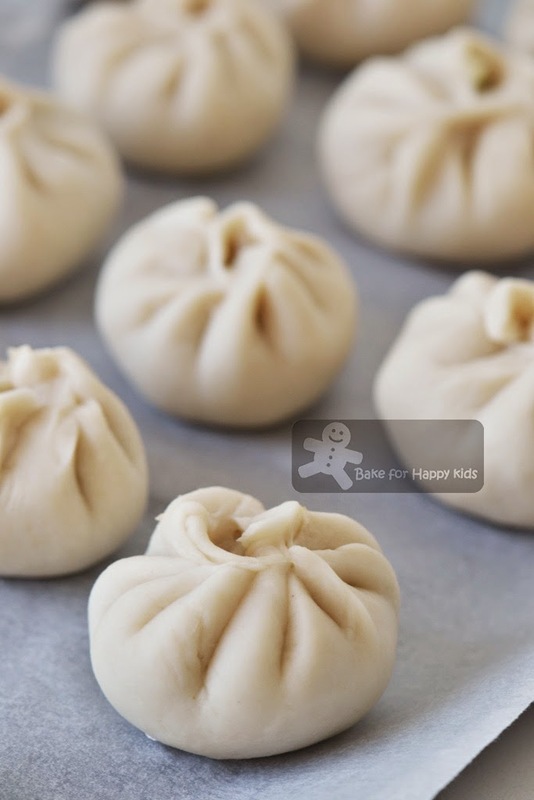 Oh I like sheng jian bao, ever made once seeing Ochikeron's video. 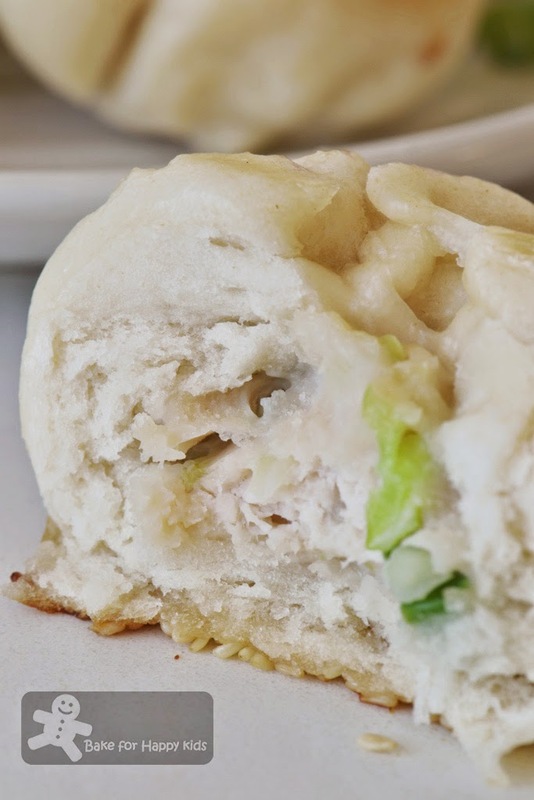 Now seeing your tasty chicken sheng jian bao made me drooling! Wow your sheng jian baos look so so delicious and beautiful. Love your pleating too. Thanks for sharing the recipe Zoe. So how's the vacation in good old Singapore ?! Did you go crazy buying some kitchen paraphernalia over there :D I'll borrow your recipe sometime , those pan-fried buns sure look fantastic ! Hi Zoe, your baos look so pretty and delicious, like straight out from the restaurant. I like how the bottom is coated with sesame seeds, looks really good! .how could you go wrong with your own recipe. yummy! that was fast!!! 20 buns gone in a thrifty...okie, you knw my story...lol... the buns looked really good, I'd wanted to try making them, but.... hahaha.. Even though I have not tasted sheng jian baos, I can see that these are very yummy. Welcome back, Zoe. welcome back Zoe! your buns look so neat and nice! I have this book too, and have tried a few recipes from it, and the results are good. This looks like an amazing treat! I will attempt it one day. 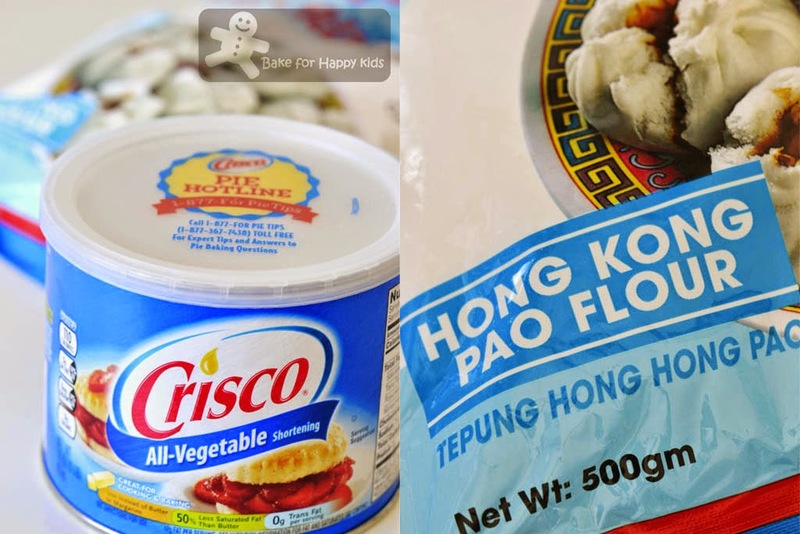 If you are from Singapore, Hong Kong flour is available in most supermarkets. 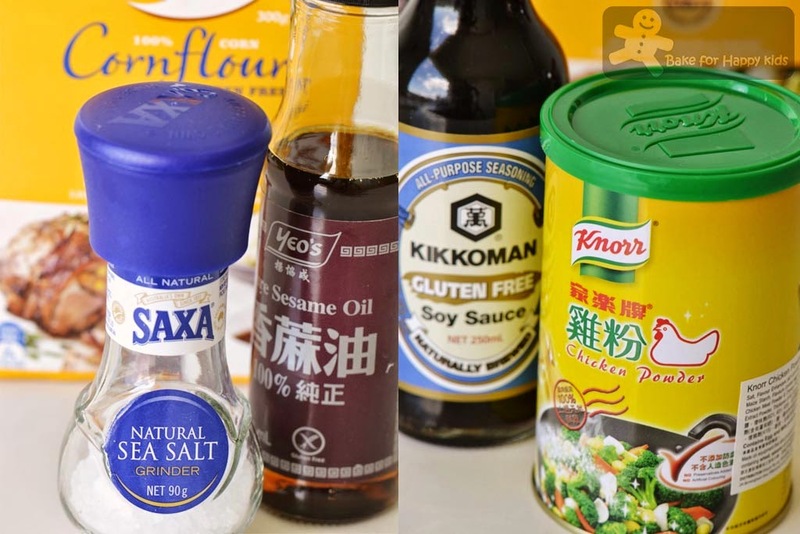 If you are from Australia, you can buy HK flour only in some Asian grocery stores and I bought mine from a store in Boxhill, Victoria. If you are from other countries, I'm sorry that I can't answer your question. Oh wow Zoe. wow. I shall attempt to make baos soon after seeing yours. WOW. 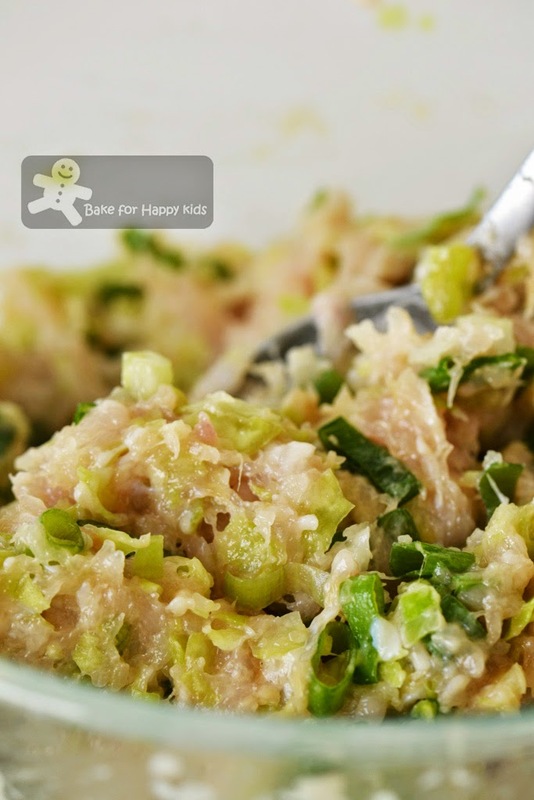 thanks for the recipe..my boys love it n mummy loves it cause they r eating cabbage n seasame seeds. i added quail eggs to it n it was powerful!